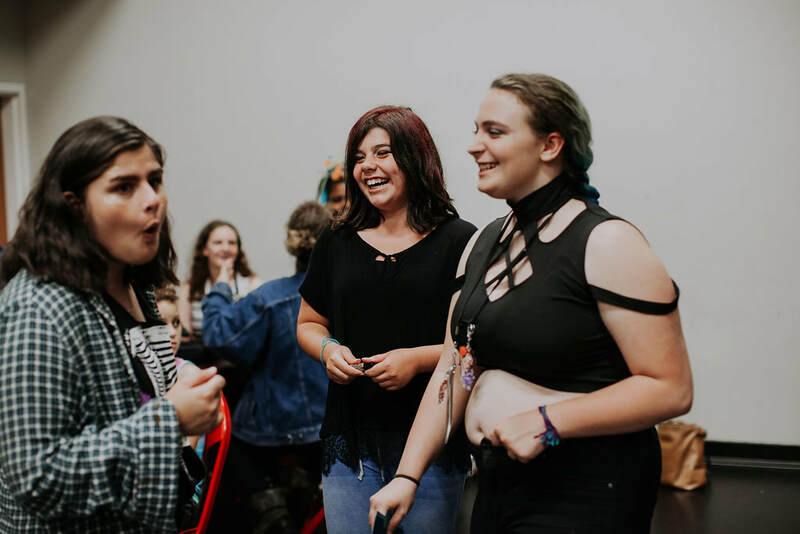 We offer a limited number of volunteer positions for high school girls and gender non-conforming youth ages 17-20 who are interested in gaining experience mentoring our campers. Campers and mentors cutting up before the show! Candidates must be responsible, articulate, outgoing, and have a great camp counselor style stage presence. This is a great opportunity for teenagers to develop leadership skills, collaborative skills, and independence. Parental permission if you are under 18, and one letter of recommendation (from a teacher, coach, instructor, faith leader, etc.) is required. Musical experience is not required. Previous experience as a Girls Rock camper preferred.